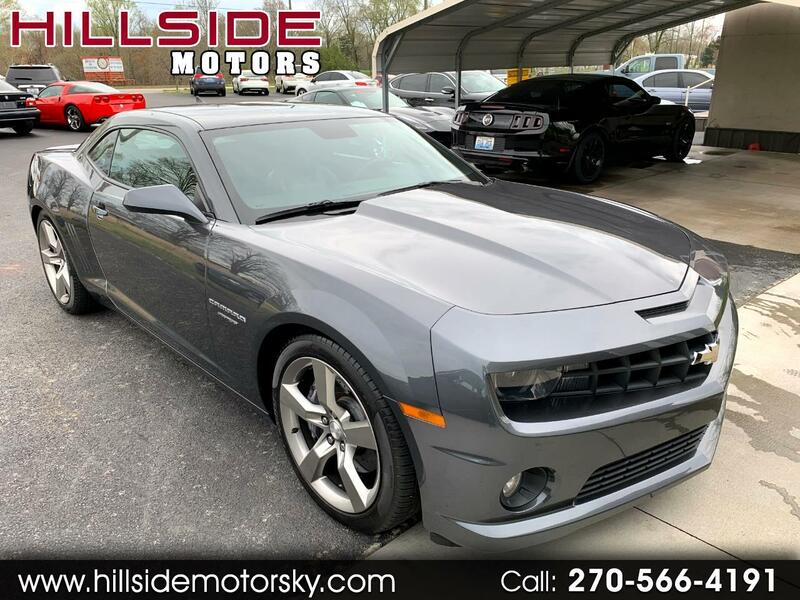 Cyber Gray Camaro 2SS 6 speed manual Authentic/Documented Lingenfelter supercharged! This car is in excellent condition! Mods include Lingenfelter supercharger/cold air intake, Kooks ceramic coated longtube headers, Corsa extreme exhaust, Short throw shifter, This car has 600HP! Copy of dyno sheet and Lingenfelter Authentication papers in pictures. options include leather, power seats, heated seats, boston acoustics stereo and more! Contact us today at 270-866-1147 *FINANCING AVAILABLE*TRADES WELCOME*RATES LOW AS 4.24%*TERMS UP TO 84 MONTHS*FINANCING AVAILABLE WITH $0 DOWN* Apply online today and get approved at hilsidemotorsky.com !